Ferrari 458 Speciale set for Frankfurt debut | What Car? Ferrari is set to show this special-edition 458 Speciale at the Frankfurt motor show next month. The 4.5-litre engine has been tweaked to put out 597bhp, a rise of 27bhp over the 458 Italia's motor. 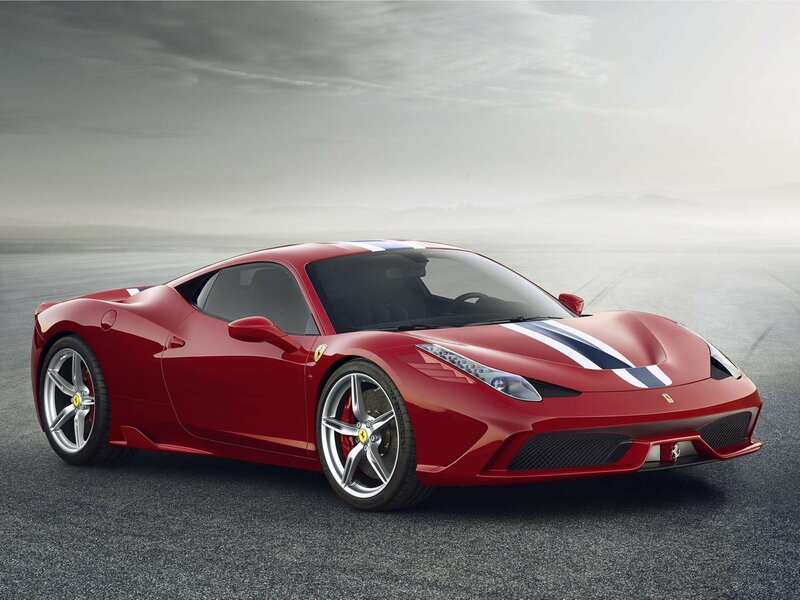 This is enough to allow the 458 Speciale to cover 0-62mph in just 3.0 seconds. The Speciale benefits from active aerodynamics. Flaps at the front and rear of the car move automatically to increase downforce and reduce drag. Ferrari claims this feature will become standard on future models. Going by the price hike seen in the special edition of its predecessor, the F430 Scuderia, prices are estimated to be set around the £210,000 mark.